Tommie Vaughn Ford is proud to have available one of the finest collision repair centers in Houston, Texas. 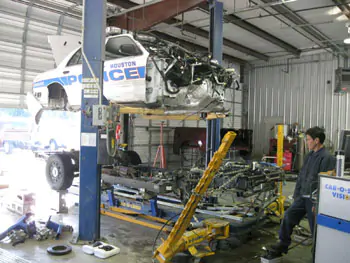 Assured Performance Certified Ford, Chrysler and GM Collision center and our trained technicians use state of the art technology in the repair of your vehicle. 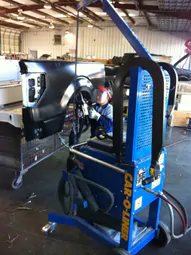 Tommie Vaughn Ford Collision Center is equipped to handle the full spectrum of body repairs from a simple dent to a computer-controlled frame repair that will bring your vehicle back to factory specification. You have the right to have your car fixed wherever you wish regardless of what an insurance company tells you. 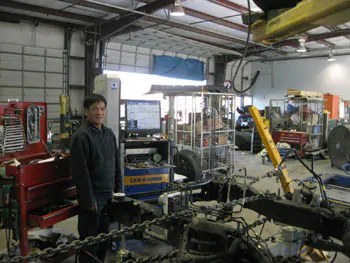 Tommie Vaughn has been here since 1957, will repair to your satisfaction, and will stand behind the repairs for as long as you own the vehicle. We are committed to our customers being 100% satisfied. Simply fill out the form and upload a few photos. We will be back to you shortly with a quote. ** Please note this is merely a ballpark estimate. 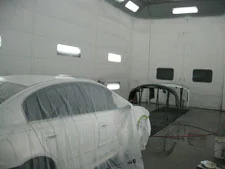 To give you a 100% accurate estimate, in some cases, we may still need to see the vehicle.